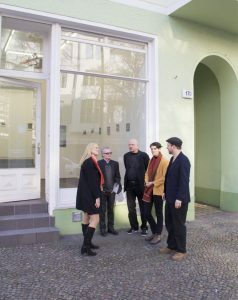 coGalleries artist residency Berlin is aimed at the exchange with professional artists from all over the world. Each artist residency ends with an exhibition in our art gallery located in the city center of Berlin´s famous gallery district Berlin-Mitte. Residents will work from our 160 sqm artist studio loft which is located in the vibrant creative east, in the art compound of FAHRBEREITSCHAFT, home to one of Berlin´s leading contemporary private art collections “Haubrok Collection”. Besides the exhibition venues from the art collection, we are in great company with other artist studios, a fine art printing studio “Artificial Image”, Berlins finest art framer “Bilderrahmen Neumann” and a list of other crafting, cultural and creative companies. Applicants should be willing to engage in the gallery´s program and events. Also the documentation and publishing processes of works in progress, exhibitions etc. which will be shared via the different pr and social media platforms. Upon returning to your country residents form part of our network and in the best cases will become part of our gallery program, art fair presentations and catalogue productions. 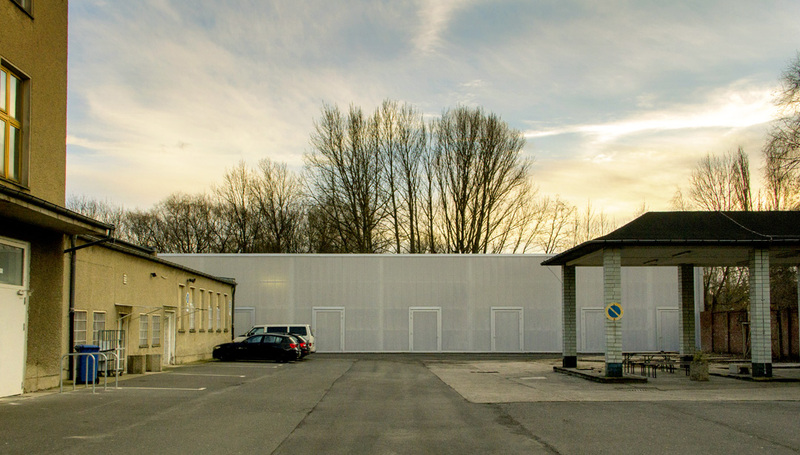 “Hlebzawod” art space was created on abandoned factory territory in the summer of 2016. Its mission is educational activity in contemporary art. Also combined with the formation of the exhibiting activity in Ukraine, promotion of contemporary art, as a necessity of modern retell of our cultural and historical content. It contains programs of familiarization of audience with the tendencies of Ukrainian contemporary art, and the disclosure of its social and cultural significance, formation of audience’s outlook and tastes, the search and help in growing of young talents. Videokaffe explores the intersection of handcraft and modern technology through exhibitions, art residencies and connecting artist studios worldwide. Since 2011 Videokaffe has exhibited at galleries and art residencies in Japan, Russia, United States and Finland. The members show their individual works and together build workspaces / labs onsite, where they work collaboratively and create artwork. During the exhibitions, Videokaffe invites the audience to enter the workspace to witness, learn about, and participate in the art making process. Between exhibitions, Videokaffe members meet regularly online by connecting their studios via webcams and video projectors. Through this process, the members work together as if they are sharing the same space. Videokaffe seeks to build bridges among cultures and to collaborate through the universal language of art. Videokaffe explores the intersection of handcraft and modern technology through exhibitions, art residencies and connecting artist studios worldwide. Gallery Rostrum is located in Malmö, Sweden and was founded in 1985. Operating as an artist-run, non-profit exhibition space, we present an annual programme of broad and varied contemporary art through exhibitions, art-projects and cultural events. The members of Rostrum are all active artists from various backgrounds, nationalities and individual artistic practices. Part of Rostrum´s core strength is in the way we manage our diversity to enable us to generate new angles and approaches to art and art practice. Together we strive to be in close dialogue with the audience, with the aim of broadening the art scene and initiating new pathways for art. Soundstripes is an eclectic screening of short silent films, all live scored by a band of improvising musicians. Soundstripes is a co-organised by Jonny Best, Alice Bradshaw & Vanessa Haley and was established in Huddersfield in 2017. Soundstripes is an eclectic screening of short silent films, all live scored by a band of improvising musicians. Art Lab is a peer group meet-up for artists and art practitioners to discuss their work, concurrent ideas and critical thinking. Artists can present oeuvres, a selection of work, performances or work in progress to test out on a supportive audience. It’s open to anyone who would like to attend and contribute constructively. Art Lab is for sharing ideas, mutual learning, peer support and networking. The format is 3-4 presentations by artists/practitioners about their work/ideas/interests: 10-15 minute presentation followed by 10 minute Q&A each with a midway refreshment break. Art Lab welcomes all art practitioners at any stage in their career and operates a safe space policy. Art Lab is coordinated by Halifax based artist/curator Alice Bradshaw http://www.alicebradshaw.co.uk/ If you would like to present at any of the 2019 Art Labs please email Alice contemporaryrubbish@yahoo.co.uk with a brief outline of what you would like to talk about and whether you require any technical support eg projector/laptop to show images/video. Camayuhs is an artist run gallery located in the Peachtree Hills neighborhood of Atlanta, GA. Programming aims to highlight emerging and mid-career artists via presentations of group and two person exhibitions. Trixie is an artist-run space located in the Stationsbuurt, neighboring the red light district of The Hague, in The Netherlands. 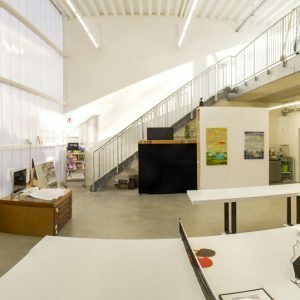 Our building consists of an open and dynamic exhibition space with huge windows and shiny mirrors, including fifteen studios, currently hosting seventeen young artists/designers who work towards establishing a firm base for their artistic career. Trixie has an eye for recent graduates and upcoming talent and invites diverse groups of artists to experiment with alternative presentation strategies and expand their practice. The F Project is an ARI based in Warrnambool, Australia. Established in 2008, The F Project aims to encourage and support artists and contemporary arts practice, and creatively explore social issues and engagement with the community. The F Project space hosts a gallery, shop, workshop spaces, studios and a residency. It is run entirely by volunteers. Acting as a lobby voice for the provision of facilities and programs where artists can produce and exhibit work, where artists and the community can work together, and where a range of information and support services are available to artists and the community, The F Project is a positive force in shaping the cultural and creative life in the Victorian Arts community. 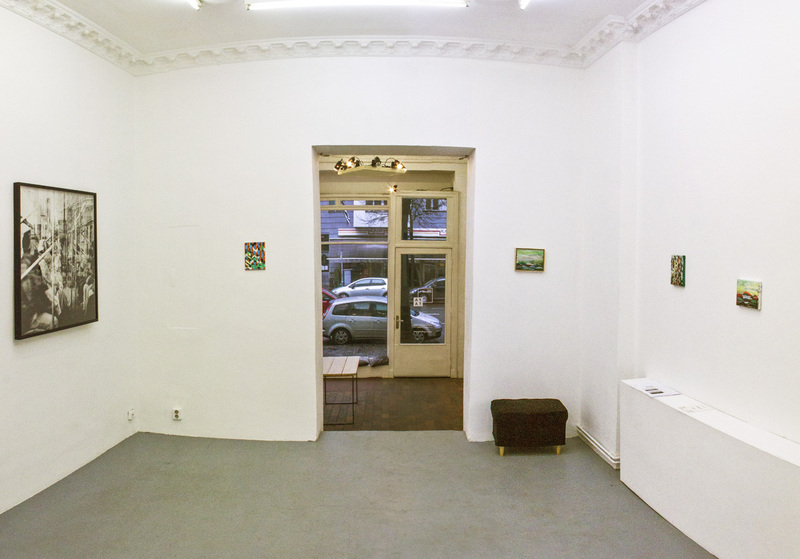 Nieuwe Vide is an exhibition space for contemporary art. Nieuwe Vide also houses artist studios and a project space. We work with young and upcoming artists as well as more experienced artists. The studios are rented by visual artists and creatives. Nieuwe Vide works with these artists and creatives whenever possible. Nieuwe Vide, as such, is a launching pad for upcoming artists’ careers. The project space is used for (educational) workshops and gatherings. True to its squatters roots 20 years ago, Nieuwe Vide is socially engaged and operates on a community level. We offer a weekly soup lunch for artists and neighbourhood residents. Every year we offer an educational art trajectory for kids aged 14-18, called Nieuwe Vide Academy. We also have a film community, CineClub, with a focus on all kinds of film and film-discussion. …ism is a project space for artists with ideas for future work in response to the location of a 17th century townhouse and former billiard and game shop. Indie Photography Group gallery (a registered Non-Profit Organization) was founded in 2010 by a group of visual artists to provide an artistic platform for young and established contemporary artists in the medium of Photography and Video Art. Indie aims to promote and broaden the discourse on Photography in Israel, Without any dependency in financial and commercial issues that could affect the process of the artwork. 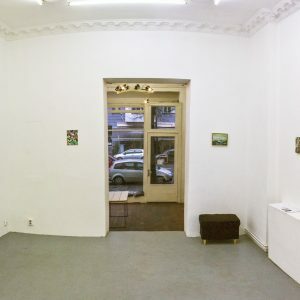 A network of independent artists and curators based in Johannesburg, South Africa, that organize and facilitate pop-up exhibitions and art related events for and with other independent artists. Dead Bunny Society was founded in 2015. Easttopics is a non-profit initiative launched in 2013, led by young art professionals based in Hungary and Serbia and dedicated to the promotion of the Eastern European contemporary art field. Working as a think tank for the Eastern European art communities, Easttopics is a genuinely interdisciplinary cooperative which goal is to draw the Eastern contemporary art field and the international art scene closer to each other. This cross-border project takes form as an expanding on-line website and space focusing on the following countries: Albania, Belarus, Bosnia and Herzegovina, Bulgaria, Croatia, Czech Republic, Estonia, Greece, Hungary, Kosovo, Latvia, Lithuania, Macedonia, Moldova, Montenegro, Poland, Romania, Serbia, Slovakia, Slovenia and Ukraine. Easttopics aims at mapping and providing more visibility to protagonists of the Eastern European art life, should they be artists, art professionals, institutions, events or publications. It also wishes to act as a dynamic platform fostering connections, exchanges, community building, and cooperations for both practice-based and research-based projects on a local, regional, and international level. Loading is an artist-run space in Diyarbakir, Turkey that aims to enrich contemporary art dialogue in the city and foster links between the region and the international art world. Loading engages with its community by its public programme which consists of artist & curator talks and workshops, as well as its art book library. Previous guest speakers include Gabi Ncgobo (curator, 10th Berlin Biennale), Ippolito Pestellini Laparelli (curator, Manifesta 12), and Hale Tenger (artist). Loading also has an ongoing archival project of archiving contemporary art practices in Diyarbakir. Loading was founded by artists Erkan Özgen, Cengiz Tekin and Şener Özmen. What started out as a project to connect with and mentor younger artists evolved into a platform that breeds new perspectives to the ways not only artists but also locals of other professions situate art making. Loading fosters a strong sense of community and garners contemporary art not just more approachable but also far more intertwined with this community. Mercury 20 Gallery is an artist-run gallery founded as a venue for contributing members to exhibit, sell, and promote each other’s art in the Oakland/East Bay community. The gallery hosts openings, art and community events, and artist talks. The gallery was founded with the mission to host and support exhibitions of the highest quality by member artists. Members help each other make sales and increase exposure to potential collectors, curators and critics. They actively participate in the Oakland Uptown community by attending Art Murmur, monthly gallery meetings, events, artist talks, and receptions in an open exchange of ideas. BOOT AIR is the name of an artist-in-residence program located in the town of Nishiaizu in Fukushima, Japan. Located in the north west corner of the prefecture, Nishiaizu is surrounded by a vast landscape of mountains, rivers, and farmland. The artist-in-residence program is part of the Nishiaizu International Art Village; a half-century old wooden school building that has been transformed into a gallery, workshop, and cultural gathering space. All types of artists (visual artists, designers, musicians, performers, cooks, architects, engineers, etc…) are welcomed to apply for the program regardless of stature (professional, amateur, student). The program’s key concepts involve: (1) sustainable community, (2) learning from traditional environmental culture, (3) recreating an environmental symbiosis lifestyle, and (4) revitalizing the depopulated community through cultural exchange. It is for this reason that we ask applicants to submit a short proposal of what they wish to work on and how it can relate to the community of Nishiaizu. Nishiaizu is ideal for artists who would like a quiet and natural atmosphere to concentrate and create while being open to learning and inspiration from the rich culture, customs, and people of a local rural community in Japan. We are a neighborhood in south Tel Aviv in a former industrial zone. Since the factories closed or moved out, a lot of artists, designers, musicians, dancers, street artists and small business are now the heart of the neighborhood. Here, you’ll be discover amazing artists, crafters and unique experience. we partnered together created a website to open our studios and shops and interact with local and international scene. Blessed are the weird people, the poets, misfits, righteous, musicians, painters, and all kind of troubadours – for they teach us to see the world through different eyes. Warehouse 4726 is a working artist studio space in The Bird Road Arts District in Miami. Operated by visual artists Jean Blackwell Font and Ignacio Font as Font Squared, in partnership with Rosie Gordon-Wallace, Founder and Director of Diaspora Vibe Cultural Arts Incubator. As members of the visual arts community here in Miami, we realize the power of the arts and collaboration; our goal is to support visual artists to mature and to think deeper through offering affordable studio space, artist exposure, and career development. We offer creativity and development workshops as part of a community outreach effort in a neighborhood that has been quietly developing an artists’ community for decades.Visits available by appointment, or check our events page for open house nights and other happenings. 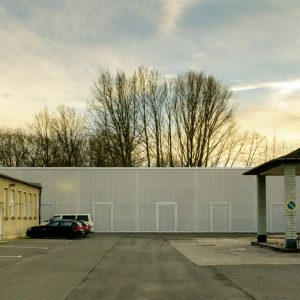 Im_flieger is a project by artists for artists: a research facility and developmental lab. Im_flieger operates as an independent association and is located in Vienna. Im_flieger creates since the year 2000 a free public space for dance, performance and related art forms, enabling contemporary artistic publication, discourse, research, creation, artists mobility, exchange and the growing necessity of fostering links between artists, cultural actors and creative spaces through local, national and international networking. Dance/Performance is seen in a wider scope, encompassing the broader sense of the term, which focuses on the whole process of artistic creation as a potential and medium of communication. Im_flieger supports artists actively in developing new working concepts and structures of artistic cooperation, moreover, the creation and presentation of performance art is facilitated without the pressure of common event and production practice. Im_flieger is an emancipatory model that requires awareness about the links of aesthetic, political and social perspectives, as well as an understanding about the field of tension they create in the artistic production. VUNU is a cultural organisation devoted to young contemporary art. In 2018, it follows the VUNU Gallery project established in 2016 and collaborates with numerous local and foreign partners. The mission of the organisation is to provide a platform for the presentation of the contemporary creations and productions of young Slovak or foreign artists, whether in the gallery or during the audiovisual events organized by the VUNU.